It was truly hard to leave Asakusa. I had become profoundly attached to it in so short a time. Yet I wanted to visit the National Museum badly, and so I caught a train again to make my way to Ueno. Note in my journal: "People sleep on the train and wake up right at their station, it's amazing." Ueno, like Asakusa, is a temple town, that grew around the Kaneiji Temple. It is notable for its huge Park, which is like a fabric connecting together such important facilities as the National Museum, the Western Art Museum, the Zoo, etc. I am still amazed at how easy it is to move around in Tokyo. I must praise their signage system: even when it doesn't use English, it is helpful. The approach to the museum is awesome and the building even more awesome. The vista is spacious, airy, bordered with trees, and it pauses at a fountain before revealing the monumental yet delicately detailed structure. I had a shock while crossing in front of the Western Art museum though: it was designed by Le Corbusier. I was freshly out of my 6th class of history of art and architecture: it seemed the architect I least liked was pursuing me to the ends of the world! 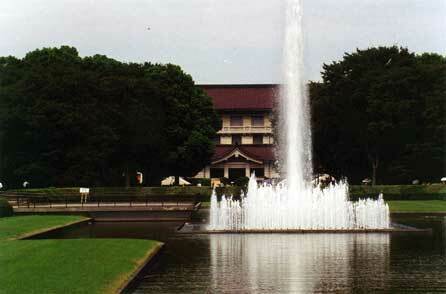 As for the Museum that interested me, it is divided into 4 pavilions. For this visit I focused on the main one, which in itself kept me busy for several hours sketching, taking notes and filling my eyes with the incredible displays of Japanese cultural history. I believe I can say that everything you ever dream to know about traditional Japanese lifestyles is shown here, and the display is linear and minimal enough for one not to miss a thing. 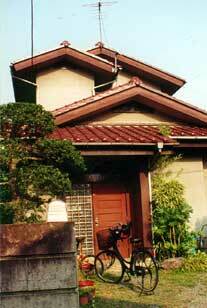 Anne ran across something interesting in her guidebook: the Edo-Tokyo Open Air Architectural Museum. 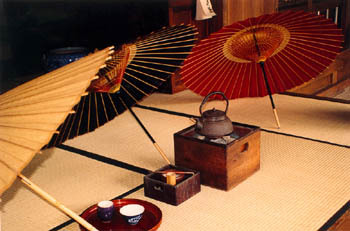 In plain English, it was a preserved Edo-style village and the mention Edo made it nearly impossible to keep Anne from running out the door on the spot. Despite threats of rain, we made it the day's program, a highly educational visit. Today Mr Tatsu was finally going to grace us with his presence, as soon as he got up that is. Since his days started sometime after 1 pm, we went ahead to the Ueno zoo before him. 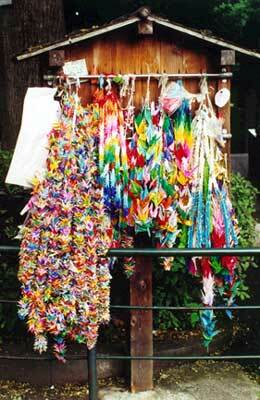 The picture to the left is a shrine where strings of 1000 folded cranes are offered to the souls of the zoo animals that have passed away, as thanks for having been guests there. We had lunch with a couple of ravens. Those birds are not only extremely common in Tokyo, they are also impressively smart. During my stay I caught on the news a few minutes where the birds were filmed dropping nuts in front of cars to have them cracked open, and best of all, using the slides in a children's park, for the sheer fun of it. Tatsu met us in Ueno and together we all went to look at the Egyptian exhibition in the National Museum. I savoured the irony: I had last seen all the exhibited pieces in the Museum of Cairo a couple of years earlier, and now they had come to see me in Tokyo, so to speak. 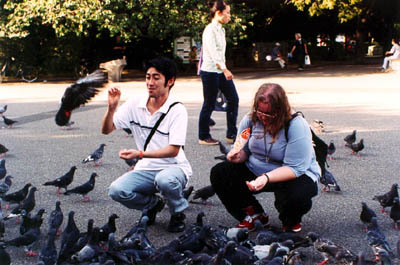 the Japanese seem very uncomfortable with touching animals. Time to leave Ôkubô for good and move into the Takao family house, where Okâsan and Obâsan (Tatsu's mother and grandmother) welcomed us. We were immediately fed watermelon and iced tea the Japanese kind, that is unsweetened and seems to replace water. Throughout our stay there Anne and I would look for ways of sneaking out of the house before grandma woke up because if she caught us, she'd sit us down at the table and bring out more food than we could look at, then order us to eat everything. Ob?san was a fascinating character, all shriveled up and no taller than 4 feet, but with an unrivalled personality. Tatsu was the only one in the house to speak English, which made the stay interesting; Obâsan would just talk and talk to me, and I could tell she was asking me questions, and I would keep nodding and saying yes even though I didn't know what she was saying. Suddenly she'd start laughing, turn to Anne and say: "She's saying yes and she doesn't even understand anything!"